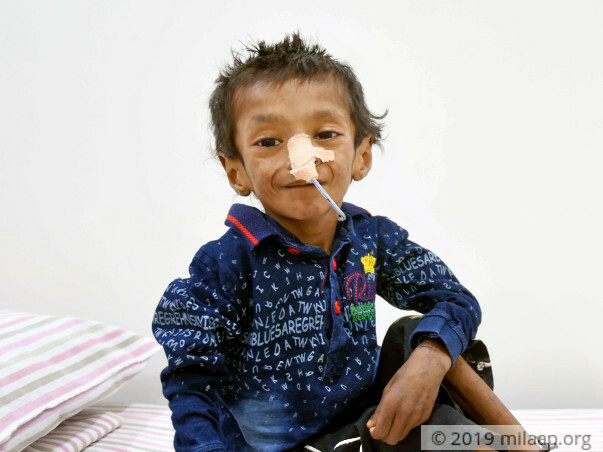 Since birth, 7-year-old Harsh has been tortured by a rare immune disease, making him extra susceptible to every infection out there. Harsh weighs just 7 kilos and he has valiantly recovered from countless life-threatening infections. The malnourished 7-year-old is now at an extremely critical stage and cannot survive without an immediate bone marrow transplant. 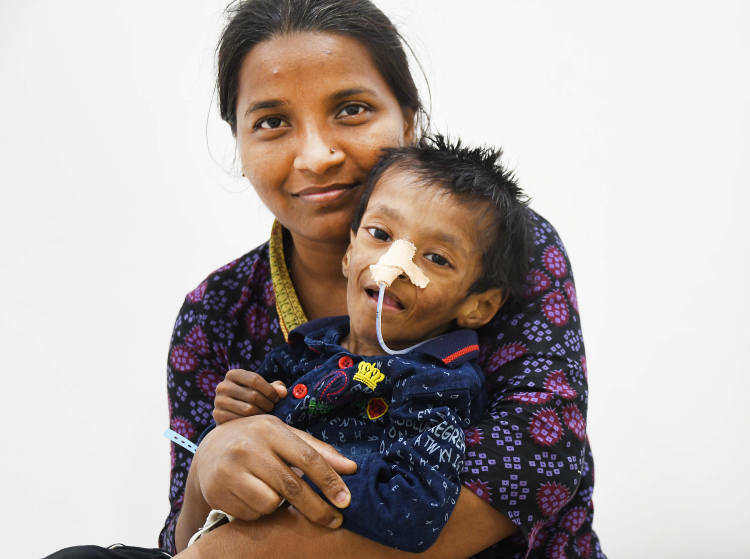 In 2016, due to severe diarrhoea, Harsh was admitted in the hospital for over 2 months and even went a few days without food. As if things aren’t bad enough already, after that Harsh was rushed to the ICU because his heart was at high risk of failure. 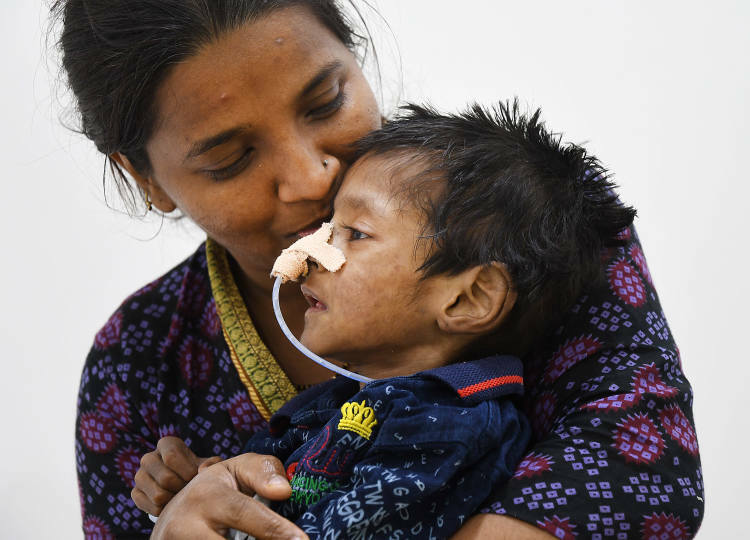 In addition to this, in January 2018, due to a severe calcium deficiency, Harsh’s hands were disfigured and he had to be admitted to the hospital not once, but 5 times. 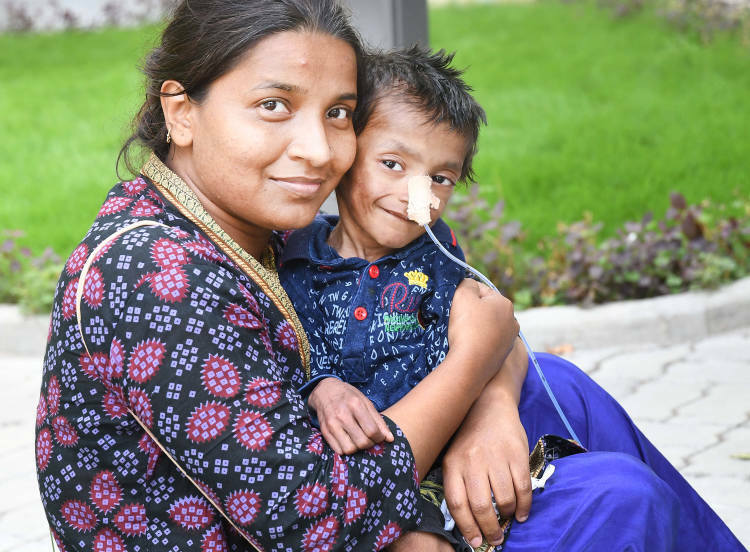 For the past 7 years, Harsh has just been at home, apart from the days he’s fighting for his life in the hospital. Harsh can’t go to school, festivals, or out for anything. Even all the windows in his house are sealed shut because he can catch an infection so easily. If someone goes to meet Harsh, they can’t go near him and have to talk from a distance. Harsh has also been riddled with frequent viral fevers. Along with his physical health, this has also severely affected the 7-year-old’s mental health. Harsh has been tormented with life-threatening infections which he has miraculously recovered from till now. But now, the 7-year-old can’t go any further without an immediate bone marrow transplant. His parents have been matched as suitable donors too. Until now, Pushpalata, her father, and Rahul have spent over Rs. 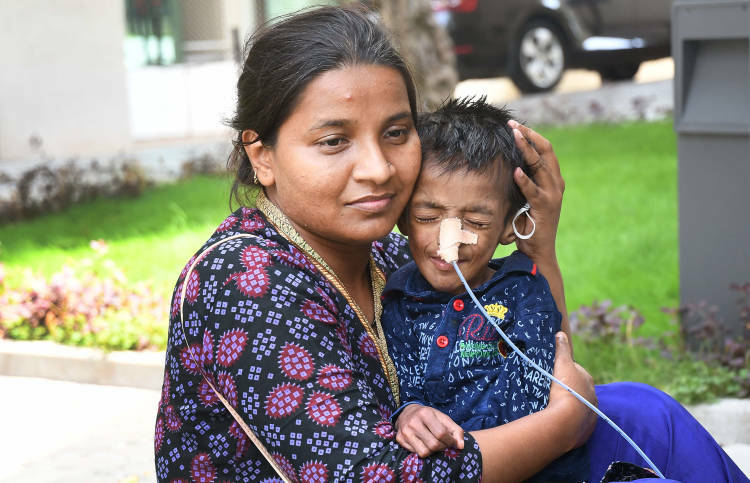 15 lakhs to keep the 7-year-old alive. 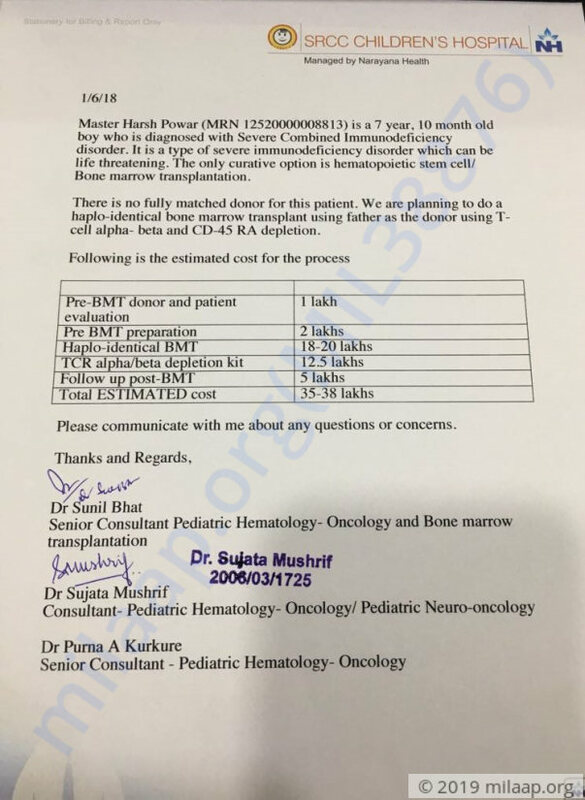 After admitting him over 40 times to the hospital, Pushpalata is left with nothing to provide for the life-saving bone marrow transplant which costs around Rs. 38 lakhs. Her son is a true warrior who has battled countless infections but, she just can’t save him without your help. Thank you all for supporting Harsh. He is doing fine as of now. Transplant has not been done yet as the doctors are waiting for the patient to gain weight. His treatment is going on and the doctors have given him medications that will help him put on weight. Harsh is doing well, however he has not undergone transplant as of now. We are awaiting results regarding some tests to move forward with his treatment. We will keep you posted on further developments regarding his transplant. Thank you again! Harsh is currently doing well and is yet to undergo the transplant. The doctors ran a few tests and found mild infection, for which he is now undergoing treatment. He is recovering well and he is likely to undergo the transplant in another 15 days, once he recovers completely from the infection. We shall keep you posted on further developments. Thank you again! Please keep praying for my son.